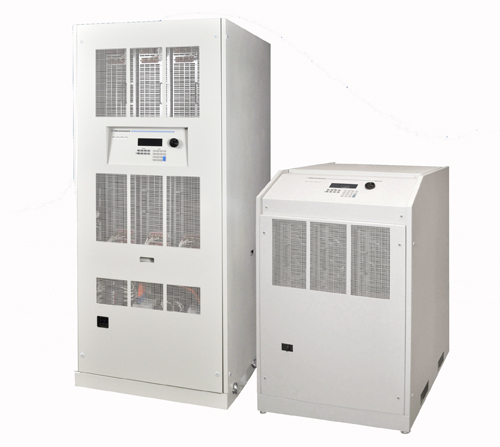 The BPS Series AC power supplies from California Instruments are consisting of multiple AC power systems to provide controlled output power for ATE and product testing applications. The BPS Series uses the PWM switching techniques which makes it more compact, robust and in a floor standing cabinet. With the output frequency of 819 Hz , it is well suited to aerospace applications. Various output voltage ranges available up to 693 V L-L internally to the unit. No external magnetic modules are required. With the crest factor of up to 4.5, it can be used easily with non-linear loads.